The first is Joe Arpaio. The day after Heather Heyer was murdered by a white supremacist driving his car into a crowd of protesters, Trump decided to tell Fox”News” that he was “seriously considering” issuing a presidential pardon to Joe Arpaio. You might remember him as the Arizona sheriff who called himself “America’s Toughest Sheriff.” He would put criminals in pink outfits and keep them in blazing hot tent cites that he referred to as concentration camps. He was also buds with Donald Trump, because they both were involved in perpetuating the “Birther” conspiracy theory. After the Department of Justice decided Sheriff Arpaio oversaw the worst pattern of racial profiling in U.S. history, they ordered him to stop “detaining people” (that’s immigrant-speak for “imprisoning people”) when there was no suspicion that they had committed a crime. They found that Arpaio continued to unlawfully and UNCONSTITUTIONALLY arrest the Latino people in his county — people who had done nothing wrong — just for “not having their papers,” and they found him guilty of Criminal Contempt for willfully violating a court order. He is scheduled to be sentenced in October of this year. The brown is slimming… Which is nice. So — just to recap — One day after a white supremacist rally that left a counter protester dead, the president of the United States suggests he will pardon a man (who joined him in the false, racist claim that President Obama faked his birth certificate and wasn’t a “real” American) for the crime racially profiling and illegally detaining Latino men and women. Our “Law & Order” president plans on forgiving a man who unconstitutionally singled out Mexican immigrants for harsh treatment. But this should come as no surprise… This is what white nationalists do: They focus on “the other.” They want people to be scared of immigrants, scared of people who look different, scared of people who speak a different language, and scared of people who have a different name for God. Even with Steve Bannon gone, this is who he’s ALWAYS been. 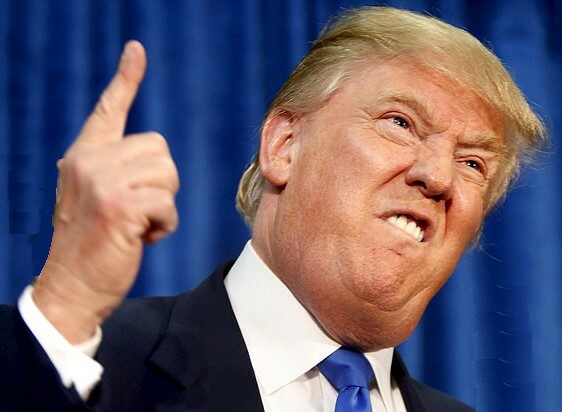 All along, he has been a rich, racist narcissist who has always been a fanboy of dictators and authoritarian leaders… A lonely megalomaniac who kept a copy of Hitler’s speeches next to his bed… A raging misogynist and philanderer who moves from one damaged woman to the next… A tragic lump of white privilege whose KKK daddy gave him enough cash to pimp out his fake last name for a little bit more money. He is a dangerously broken man… And this dangerously broken man has been put into a position of great influence by a counterfeit “church” who is way more interested in POWER than it has ever been interested in following Jesus. We must be better than this. This entry was posted in 1) Jesus, 2) Politics and tagged Birther Conspiracy, Conderate statues, General Pershing Lie, Heritage Not Hate, Joe Arpaio, KKK, Moral equivalence, Nazi, President Trump, Trump Tweets, White Nationalism, White Supremacy. Bookmark the permalink. This is our first fascist president. It must also be our last.